Location: High Point, North Carolina; the cities of High Point, Greensboro, and Winston-Salem form the Piedmont Triad. Access: The Piedmont Triad International Airport is 20 minutes from campus. The Raleigh-Durham International Airport and the Charlotte Douglas International Airport are just over an hour from campus. Diversity: The current student body represents 50 states and 37 countries; 82% of students are from out of state. Ratios: The typical class size is 17 students, and the student-faculty ratio is 15:1. Intercollegiate Athletics: The High Point University Panthers compete in NCAA Division I athletics in the Big South Conference. HPU sponsors 16 intercollegiate sports and 26 club sports. Study Abroad: Semester-long, month-long, and summer programs are available in Argentina, Australia, Austria, Czech Republic, Ecuador, Fiji, France, Germany, India, Italy, Japan, Russia, South Africa, Spain, and the United Kingdom. Scholarships: Presidential and High Point Fellows Scholarships are awarded annually to qualified freshmen. Scholarships range from $2,000 to full tuition. 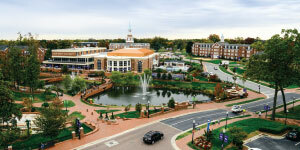 High Point University is the Premier Life Skills University, working to transform the lives of their students. 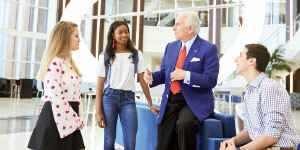 HPU knows a thing or two about transformation after radically transforming the campus and culture under the leadership of President Nido R. Qubein, who became the seventh president of this 94-year-old institution in 2005. That’s why HPU leaders commit to preparing students for the world as it’s going to be, not as it is. The promise HPU makes to each student and their family serves as a clear road map for faculty and staff to achieve that mission. By focusing holistically on students’ transformational educational journeys, HPU attracts students from all 50 states and nearly 50 countries. Since 2005, President Qubein has led a $2 billion investment in academic programs (five new academic schools have been added) and student life facilities. New buildings include two student centers, 10 residential communities, a lacrosse/soccer stadium, a Division I athletics complex, and, currently under construction, a 4,500-seat basketball arena, conference center, and hotel. Innovative educational initiatives like the President’s Seminar on Life Skills, a required course for all entering freshmen, ensure students grow not only in specific academic areas of expertise but also develop competencies in communication, networking, coachability, fiscal literacy, and service. These are among the traits HPU refers to as “life skills,” which employers rank as the most critical skills necessary to succeed in the modern workplace. With 58 majors and 57 minors, HPU offers a broad spectrum of academic course work, all complemented by experiential learning programs that include internships, undergraduate research, global education, and service learning. The approach to life preparation is perhaps best showcased by the 96% placement rate for graduates employed or enrolled in graduate school within six months of graduation from HPU. 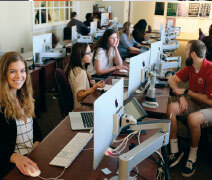 Beyond academic excellence, High Point also focuses on values. President Qubein often remarks that HPU is a God, family, and country school. While all backgrounds are welcome and celebrated on this inclusive campus, HPU appreciates and promotes the values of hard work, service, patriotism, private enterprise, joy, and generosity, among others. Each year, HPU hosts 1,000 local military veterans to express gratitude for their service to our nation. In December, HPU welcomes more than 20,000 visitors to campus for a two-night Community Christmas event, complete with a life-size Nativity, falling snow, and Santa, who offers a gift to each child. The entire event is complimentary. High Point University is a values-based university that believes each faculty and staff member has the power to enhance the lives of the students entrusted in their care. Their call to action is simple and profound: Choose to be extraordinary! And they live by it every day.